Don’t think it’s a huge eatable gummy bear. But apparently the gummy bear has more features such as illuminating your desk. If you’re curious, let’s go on checking the gummy bear desk lamp. Gummylamp is an interesting desk lamp that measures 7 inches tall by 3 inches wide. As we can see from the images, the desk lamp is shaped as a huge yummy gummy bear. 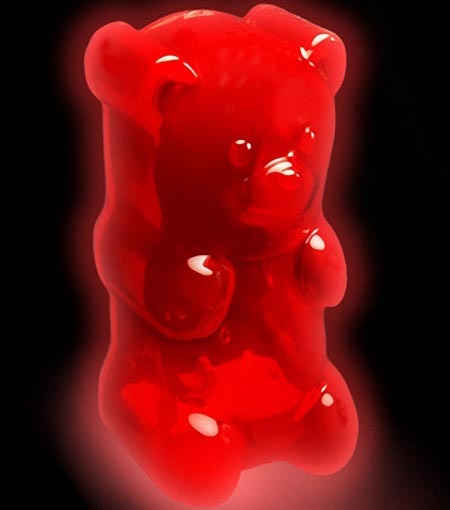 Of course, the huge gummy bear is not made from eatable material, but the semi-transparent casing makes the desk lamp more attractive than a small gummy bear. Inside there is a high-powered LED light in order to illuminate the space around you. Apart from that, the desk lamp is wall mountable, and is powered by 2 AA batteries or the included DC to USD cord. 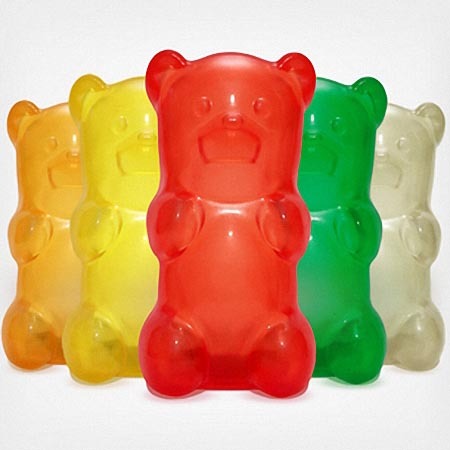 The gummy bear desk lamp is available in 5 colors, including red, green, yellow, orange and clear, each one is priced at $34 USD. If you’re interested, jump to fred flare online store for more details. Additionally, if you need other options, you might like to check the Legend of Zelda Triforce table lamp, the Pacman Ghost lamp and more via “desk lamp” tag.